OneBeacon’s Farmington, CT, New Jersey and New York City offices will be open for business as usual today, January 28. Due to continued hazardous conditions in the city, the Boston office will be closed. The Canton office will open, however given the significant variances in snowfall and travel conditions in Massachusetts, employees who cannot safely get to the office are encouraged to stay home. Boston and Canton Employees able to work at home should be available by phone and email. We will provide an update regarding any office closings for Wednesday once the extent of the storm’s duration and impact are known. If you’re attending the Chicago boat show this week, we invite you to visit with our National Marine Underwriters (NMU) team. NMU’s Al Saunders will be manning exhibition booth A333 at the show, taking place January 14 – 18 at McCormick Place. Stop by to meet with Al and learn more about our marine insurance services! For more information on the event, please visit: www.chicagoboatshow.com. As the cold weather settles in, our team from National Marine Underwriters (NMU) offers tips for winterizing your watercraft. Though it may seem like a tedious task, effectively winterizing your boat can help you avoid costly repairs come springtime. Read NMU’s tips here to help guide you in the winterization process, from caring for your engine to securing proper winter storage. And remember, protecting your vessel now can ensure smooth sailing this spring! 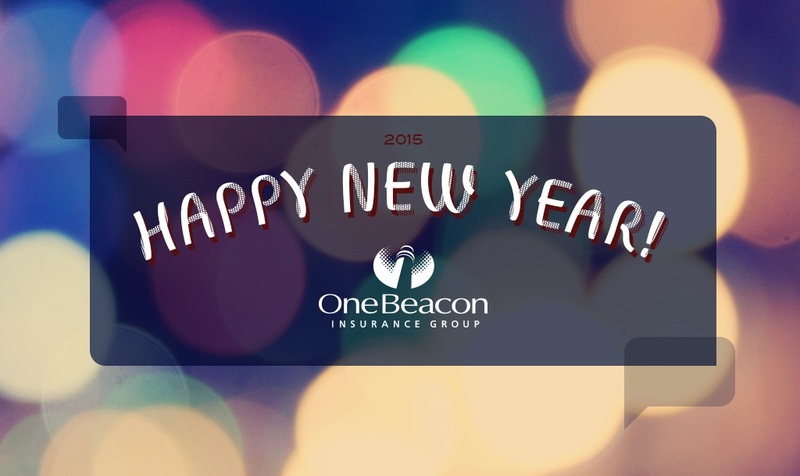 From all of us at OneBeacon, we wish you and your families all the best in 2015. We are excited to begin the new year as a pure specialty company, and look forward to working with you in 2015 and beyond.